Directions: Take Route NN south, from the junction of Route 60 and NN in Diggins, for 2.1 miles to the Finley Falls Road. Take Finley Falls Road left. In about .3 miles the blacktop turne to gravel; continue for another .6 miles to Burnett Road to the right. Take Burnett Road .2 miles to the falls on the right (the water flowed over the road). 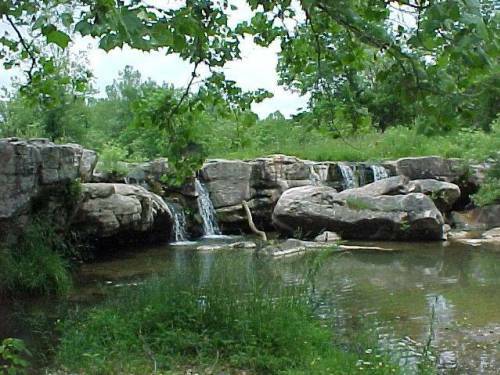 Notes: I went to Finley Falls in Missouri June 4, 2003. 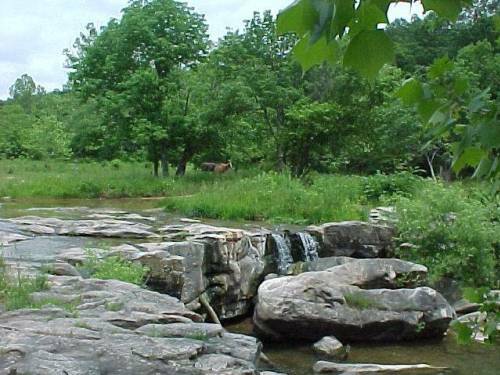 The falls were not visible from the road, but the rock the water flowed over was, and the falls could be heard just off to the right.